(CBS News) - LONDON - The North African branch of al Qaeda, known as al Qaeda in the Islamic Maghreb (AQIM), has praised the militants who attacked the U.S. Consulate in northern Libya, and called on Muslims across the region to try and kill more American diplomats. "We incite Muslims to carry on and escalate their protests, and we invite Muslim youths for follow the footsteps of the Lions of Benghazi, by tearing down U.S. flags off their embassies in all our capital cities, torching them, after stamping them with our feet, and killing their ambassadors and diplomats, or expelling them to cleanse our land from their evil," said the group in a three-page statement posted on a jihadi web forum. The Libyan government and U.S. officials disagree over the nature of the Benghazi attack, with Washington suggesting the incident - which left four Americans dead, including U.S. 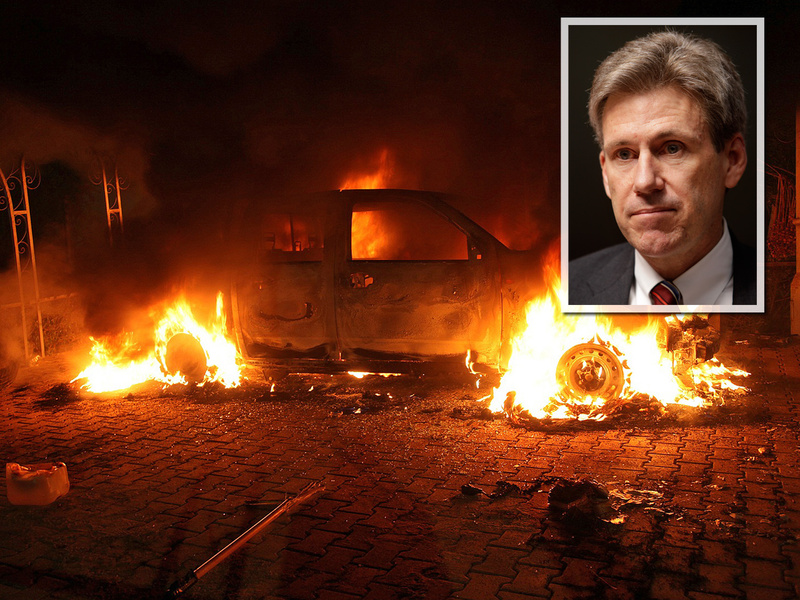 Ambassador to Libya Chris Stevens - appears to have been essentially a protest which turned extremely violent when local well-armed militants joined the melee. Libyan officials, on the other hand, say the attack was well-coordinated and planned by an extremist group, and likely took months to plan. CBS News was first to see "safe-house" attacked in Benghazi. Click player at left for the full report. While there has been no indication that AQIM played a direct role in the attack on the consulate, there have been fears that al Qaeda's North Africa franchise may be trying to gain influence in Libya amid the security chaos across the north of the country left in the wake of the Arab Spring uprising which ousted long-time dictator Muammar Qaddafi. In depth: What's behind the anti-U.S. violence? U.S. military commanders have also expressed concern that AQIM - thought to be al Qaeda's best-funded branch due to its heavy reliance on kidnap and extortion plots - may be working in greater coordination with other Islamic extremist groups across the region, including Boko Haram in Nigeria, and al-Shaabab in Somalia. Al Qaeda in the Arabian Peninsula, based in Yemen, released a statement over the weekend, also praising the Libya attack and suggesting the killing this summer of al Qaeda's No. 2 commander, Abu Yahya al-Libi, in a U.S. drone strike in Pakistan was also a motivation for the Libyan militants to attack the American consulate.